Volvo says that Québec relates more to European lifestyle — where wagons such as the V90 are popular — than to the U.S. market, like other provinces do. 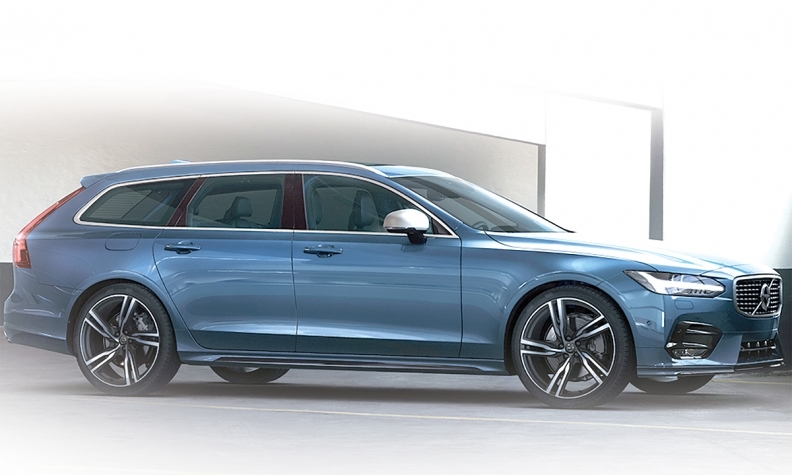 In the United States, Volvo's new V90 wagon will be available only by special order; in Canada, it will grace showroom floors. This is driven by the company’s history of success in Canada with wagons, a 27.5 per cent, year-over-year growth figure for 2016 on the back of the successful launch of the company’s XC90 tall wagon, and by strong interest in the V90 from one region in particular. “Québec normally represents 30 per cent of total Canadian sales, where wagons in Québec represent 40 per cent of total Canadian sales,” said Hugues Bissonnette, director of sales operations for Volvo Cars Canada. “We do see a much higher interest there, and the response we’re getting on the V90 is no different. “We’re currently forecasting more or less 200 units, and for Québec it will probably be somewhere between 80 and 100 units. It’s not only Quebec driven – we’ve enjoyed great success in Canada – but definitely, Québec plays a big part in it. The Canadian market’s buying habits, and those of Québec in particular, are often said to align more closely with those of Europe than of the United States. The V90, the third all-new model to be introduced since Volvo Cars was purchased by China-based holding company Geely in 2010, will be sold in Canada in entry-level Momentum trim, luxury-oriented Inscription and sport-focused R-Design. The latter, priced at a premium of about $4,000, will feature a sportier exterior design and wheels, a lowered right height and more upscale interior appointments with sport seats and steering wheel. The trim made its North American debut in February at the Canadian International AutoShow in Toronto. The Canadian market R-Design will be an optional climate package featuring heated rear seats, windshield and steering wheel. V90 R-Design cars for the Canadian market will also include a black headliner, sun curtains, and a rear subwoofer for more audio-system bass. “It does add a lot of value for the difference in pricing,” Bissonnette said.